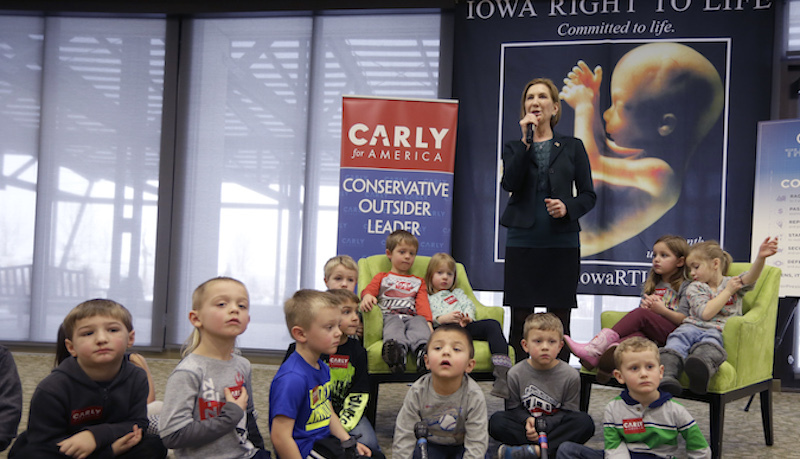 On Wednesday, Carly Fiorina just happened to give a speech on the dangers of abortion and organ harvesting in front of a group of small, bored-looking toddlers. One of the many problems with that scene, say the kids’ parents, is that she liberated them from a school trip without permission. The kids were apparently on a school-sponsored field trip to the Greater Des Moines botanical garden, where Fiorina was coincidentally hosting a “right to life” forum. The optics were good for Fiorina, I guess—certainly better than the “elderly” group that voluntarily showed up to see her. But the parents weren’t as pleased to see their babies linked to Fiorina, who is currently polling at 1.5 percent.